**~ A POCKET FULL OF ROSES~**: REBECCA'S HAVING A WONDERUL GIVEAWAY!! HUGS AND SMILES TO YOU ALL. Hi Mari :) Oh I already know about this great giveaway! I've got my name thrown into the hat for 2 chances. I'd blog about it, but I have my Pink Saturday post up right now. If I don't win this great giveaway, then I hope it will be you who wins it! Hope you are having a wonderful weekend my bloggie friend!! 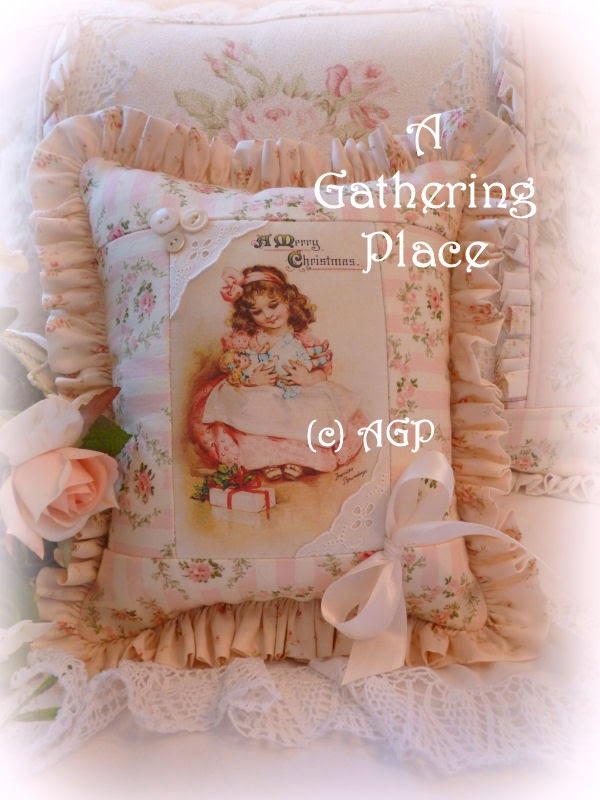 She gives wonderful giveaways, especially handmade items..... a very talented women she is! Mari, so you don't sew ether, well that is so nice to know that I'm not the only one out there. Can I borrow your Mother? Just kidding, but I really need to find somebody that can do many sewing projects that needs to get done. I use to have somebody but she moved far away. I'm still on a hunt for someone I can be comfortable with... kInda like a personal thing. Hey I wanted to mention this for so long and always forgot to tell you I seen your home on Oh I forgot who, but anyways.... YOUR HOME IS BEAUTIFUL.. I enjoyed seeing every moment of it and was awe with all the beauty I seen. My God Girl, you need to show more of it..
Hi Mari! Thanks for stopping by!! I hope you are doing well! I have thought about you because I got some 1956 pink Melmac dishes that I cannot wait to use! They are the prettiest shade of pink ever. I'm still putting everything together, but I can't wait for you to see it! I always love when you stop by with your sweet little doggie. I am excited about Rebecca's giveaway too. She makes the loveliest things. Loved your blog and decided to follow you too... What a happy family; two and four-legged! Thank you for posting my giveaway Miss Mari! You bless me!